"Meet a Community Art Star" is a regular feature showcasing ArtStarts' amazing group of volunteers who are passionate, enthusiastic arts champions. Read more posts in this series. 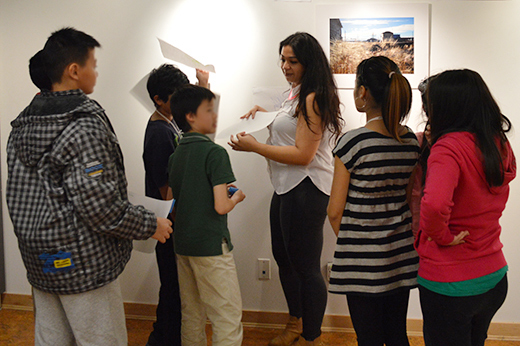 An interdisciplinary artist, yoga instructor and educator, Nargis wears many hats. Born in Dubai, UAE and raised in Vancouver, her practice is concerned with diaspora and identity. She is prolific and has been recognized for works, having won the Sheikha Manal Young Artist’s Award in 2012. 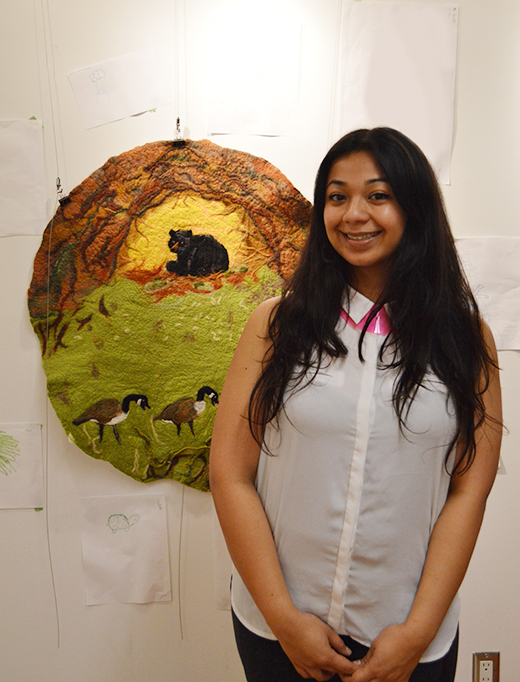 Nargis joined the ArtStarts family last summer and has been an immense source of creativity. We spoke to Nargis about her art practice and her thoughts on creativity. ArtStarts: Where did art start for you? Nargis: My mom told me that I always had an interest in making and creating but I think it really started for me in my early teens with the teachers around me. It’s what really inspired me to be the artist and teacher that I am today. ArtStarts: Do you have a piece of art that you’ve made that you’re most proud of and what is it? Nargis: I made a piece during my undergraduate degree program, From Womb to Webcam. It's one of my favorite pieces I've ever made because it’s been the most universally relatable piece I've ever done. The piece is about the relationship I had with my mom. How growing up, her and I weren't really close but once we were apart, our daily conversations through Skype really made us more connected. It was a piece with two screens with us talking to each other at a dining table. We would have meals everyday but through Skype. In a place like Dubai where everyone is sort of there and away from their families, I think it was relatable in this new age of relationships and communications. You can love someone strong and from a far. ArtStarts: Why do you think it has stuck? Nargis: I think it's because I made the piece for myself but it in the end it wasn’t for me. It was more fulfilling to see that so many people related to it. It wasn't a personal piece anymore. People could sit at the table and join us. ArtStarts: What is your idea of creativity? Nargis: My idea of creativity is expressing yourself in any way that is unique to you. I think it what's our community needs to grow and come together. I think there's so many great creative minds in our community and if everyone puts their ideas together it can really help our community to grow. You can find out more about Nargis and her art practice on her website.